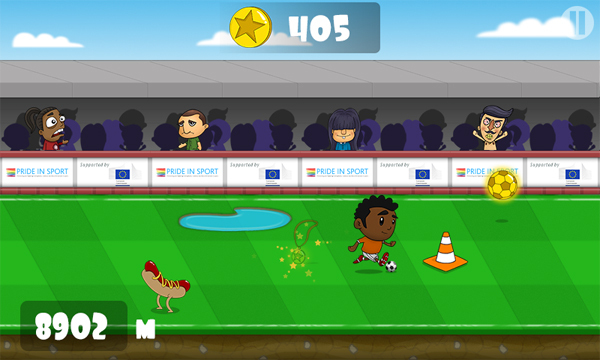 The launch of the game coincides with the release of a report by the EU Fundamental Rights Agency (FRA) into the experience of ‘Being LGBT in Europe’, which highlights persistent levels of discriminatory experience in schools by young LGBT people. 91% of respondents in the research had ‘seen or heard negative comments or conduct before the age of 18 because a schoolmate was perceived to be LGBT’. More information about the game can be found at www.upfront.mobi and further information on the Pride in Sport initiative can be found at www.prideinsport.info.